Just as we treat our home to a fall and spring cleaning, our landscaping deserves the same amount of attention for Spring seasonal work. Many plants are not capable of withstanding the changing seasons throughout the entire year. To help keep your yard looking beautiful, we recommend getting seasonal lawn care a few times a year. Spring is the perfect time to get lawn care tasks out of the way. The spring seasonal clean-up of your lawn and garden is the time to clear away winter debris to ensure that your lawn is clear of any elements that could potentially impede its growth over the spring and summer months. Seasonal plants, such as ornamental grasses suited more for colder months, need to be cut back as necessary. There’s no point in making the attempt to nurture plant life that will not be able to thrive during the warmer months. Soil can often shift due to freezing in the winter. 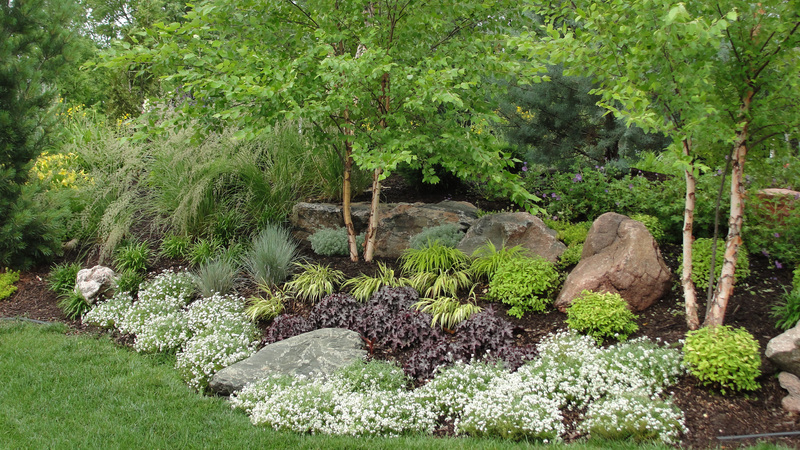 This makes your spring seasonal clean-up a perfect time to make sure that all perimeter and bed edging is where it needs to be, ensuring that your plants are given the space required to grow. The height of fall signals the need for additional lawn care services. During the fall clean-up of your lawn and garden, it’s important to remove any fall debris removed from the landscaping, especially any dead leaf buildup. Raking leaves can be very time-consuming. Rosehill Gardens can make sure that your lawn is clear of dead leaves, sticks and other debris that commonly litter your lawn during the fall. This is also the perfect time to remove any annuals which will not survive the cold months ahead. Any plant life that will be able to withstand the winter or return after it passes should be protected and maintained. Are you looking for a professional landscaping company to assist with your seasonal lawn care work? Rosehill Gardens is ready to provide high-quality care, from season to season. Call our team at (816) 877-9175.